Wicked Good, Nefertiti Won Best Hydro at Spannabis! And you can't beat that with a Thai stick! Nefertiti is a potent cross of White Widow & the dark & lovely Black Widow with 20% THC & 400 gr/m2 yields. Very Manageable at Under 90 cm - So Easy! Neville's Haze was the first prize winner of the Seed Company HTCC in 1998. This is a plant for a true enthusiast and connoisseur. New York 47 is very strong and well known for its huge dense colas. This is mainly a sativa strain that inherits some very nice indica characteristics. Get Down & Dirty with New York City! New York City is a premium mix of NYC Diesel & Jack Herer. Urban & edgy, this 70% Sativa has an incredible flavour paired with 17% THC. 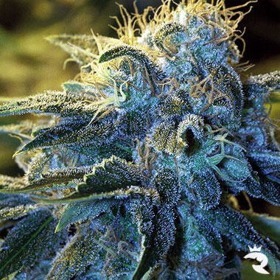 These cannabis seeds are jaw-dropping good! 500 Gram Yields - A Real Mind-Blower! 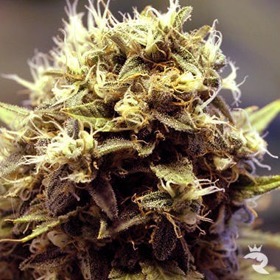 This is one of our favourite Eva Strains, Nexis is a a cross between a Brazilian plant and a sativa from the blue family. Bubblelicious was developed in the Midwest, U.S.A. then brought to Holland in the 90s and further refined. 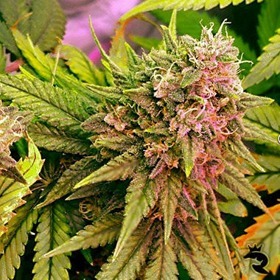 Bubblelicious grows vigorously and finishes flowering in about 8 weeks.